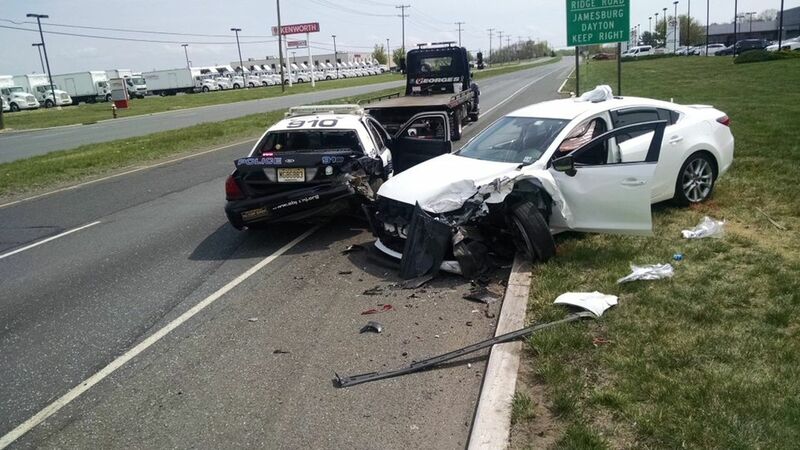 SOUTH BRUNSWICK, New Jersey (WABC) -- A New Jersey police officer was struck during a traffic stop Monday that also sent a driver to the hospital. The crash happened on 130 South at Route 522 in South Brunswick Township in Middlesex County. Police said the officer's cruiser was rear ended. The officer and the driver of the car that struck the cruiser suffered injuries, but it's not yet clear how serious they are. South Brunswick police are asking drivers to avoid Route 130 South at Route 522 until further notice.